Introducing, Ostrich! 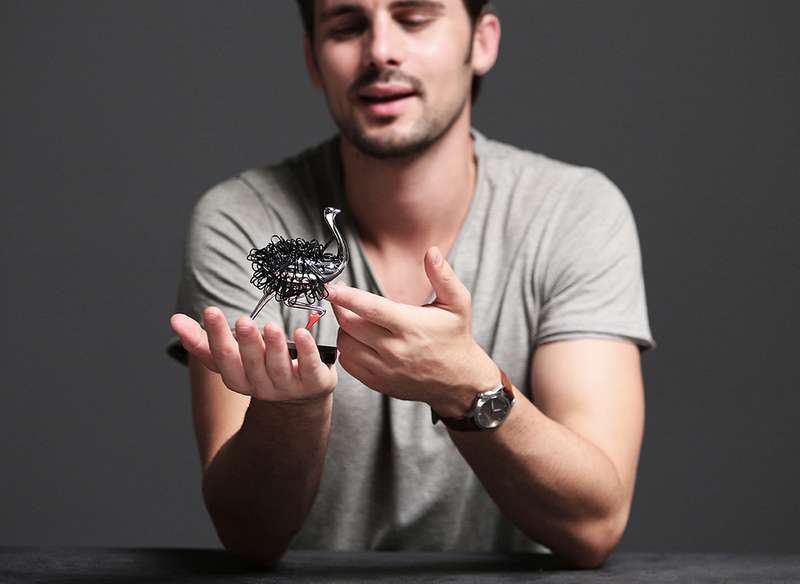 Never before has a paperclip holder been so awesome. 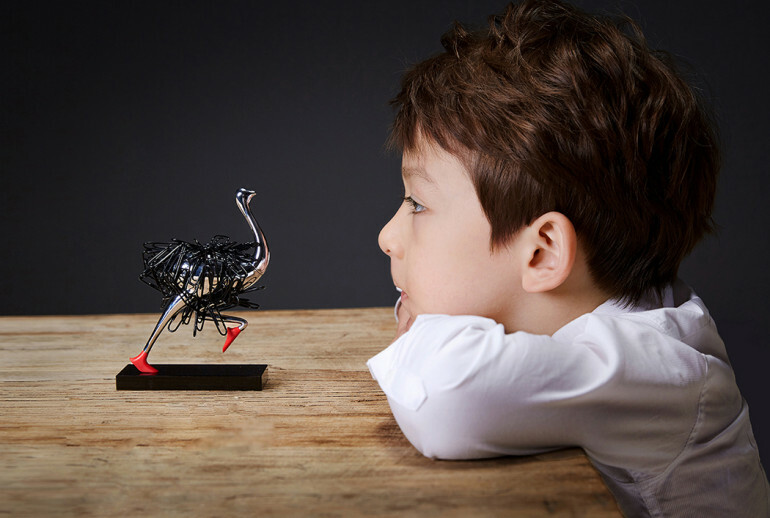 The magnetic silhouette takes on the familiar form of the world’s biggest bird. 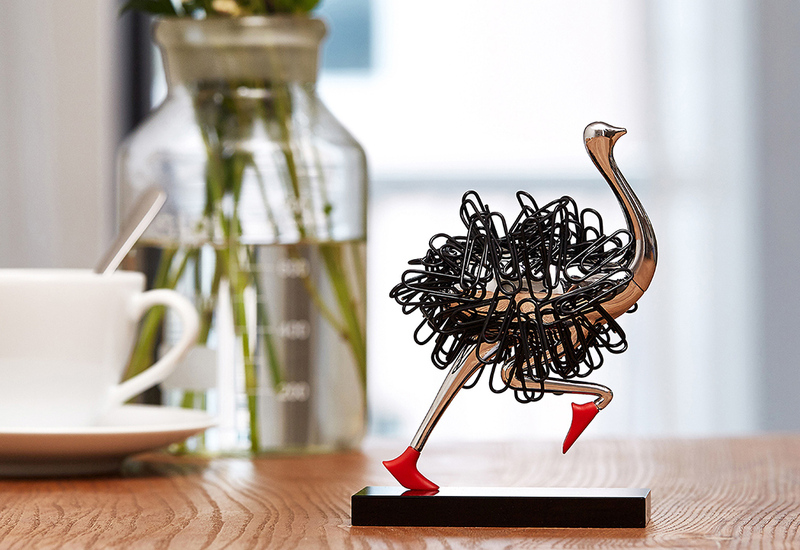 Beautiful on its own, the shiny metallic finish and funky red “sneakers” make it an interesting desktop ornament. 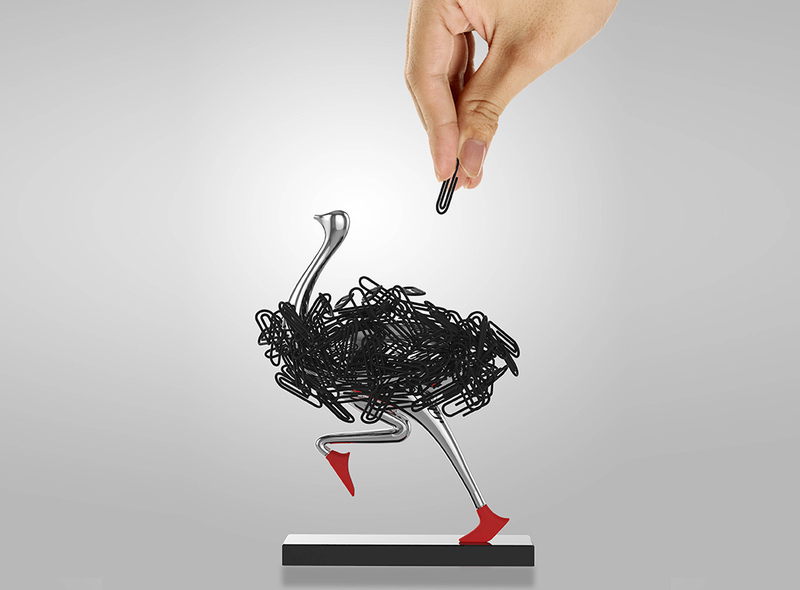 Add on the included black paperclips, however, and you’ve got something entirely new! If I had this functional decor on my desk, I doubt I’d get anything done.